The Vitamin D Society wants to make the public aware of a recent study published in the American Journal of Clinical Nutrition, reporting that women in Saudi Arabia who have low vitamin D levels have six times the risk of having breast cancer than women with higher levels(1). The case-control study analyzed data from 120 breast cancer cases and an equal amount of controls. The study found that Saudi Arabian women in the lowest vitamin D category, less than 25 nmol/L (10 ng/ml), had six times the risk for evasive breast cancer as people in the highest category of vitamin D status, greater than 50 nmol/L (20 ng/ml). Women in Saudi Arabia, even though they reside in a high UV sunlight exposure area, have very low levels of vitamin D. This is due to a modern indoor lifestyle, darker skin types, cultural practices of dress and the fact that the food supply is not fortified with vitamin D like it is in Canada and the USA. Dr. John Cannell from the Vitamin D Council recommends sunlight, sunbed or D3 supplementation to increase your vitamin D blood levels. The Scientists Call to D*action, a document published by a group of prominent vitamin D doctors, researchers and scientists, recommend that people achieve optimal vitamin D blood serum levels of between 100-150 nmol/L (Can) or 40-60 ng/ml (USA) for best overall health and disease prevention(3). 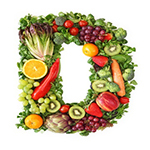 Vitamin D deficiency has been associated with an increased risk for many serious diseases including bone disease, various cancers, infections, autoimmune diseases, cardiovascular diseases and adverse pregnancy outcomes. The Vitamin D Society is a Canadian non-profit group organized to: increase awareness of the many health conditions strongly linked to vitamin D deficiency; encourage people to be proactive in protecting their health and have their vitamin D levels tested annually; and help fund valuable vitamin D research. The Vitamin D Society recommends people achieve and maintain optimal 25(OH)D blood levels between 100 – 150 nmol/L (Can) or 40-60 ng/ml (USA).